No. 10,043. 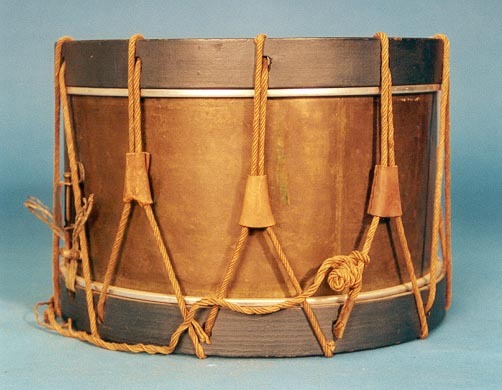 Side drum, Belgium, ca. 1850-1900. Brass shell. Eleven leather tugs. Wood rims painted navy blue. Brass snare adjuster. William F. Ludwig II Collection, 2001.